Outdoor movie night has been a tradition in our family since my kids started school. As soon as spring break hits, we dust off the movie projector and set it up in the backyard. From there we host movie nights regularly through the spring and summer, especially when the kids get antsy and it’s too warm to be cooped up inside at dusk. 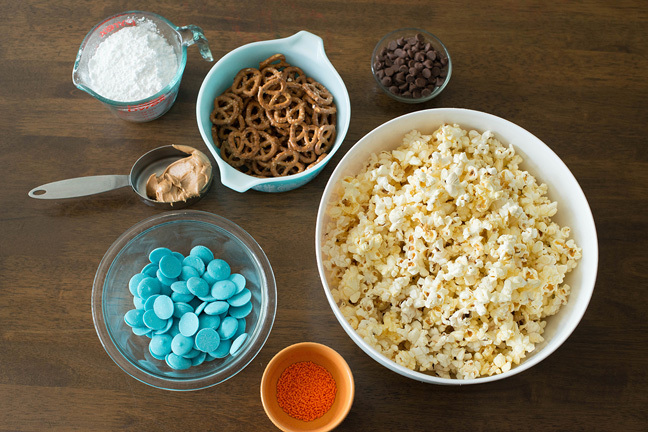 We lay out picnic blankets, pillows, and lawn chairs, then customize each showing by adding a snack that’s tied to the featured movie of the night. On our last trip to Disneyland, we all loved the new Paint the Night parade, and one of our all-time favorite floats was the sparkly Frozen castle that lit up the route on Main Street. So it’s no surprise that my kids requested Frozen as our first backyard movie night of the year. 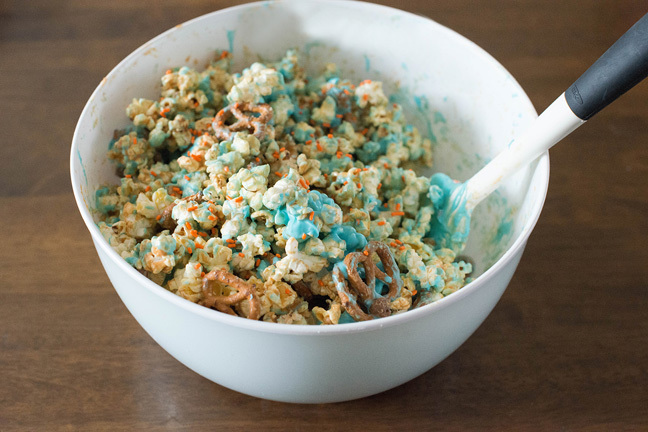 To go with it, I’m whipping up this Ice princess popcorn munch. It’s got Frozen written all over it. It’s salty-sweet, and topped off with a drizzle of blue candy melts that would do Elsa proud. 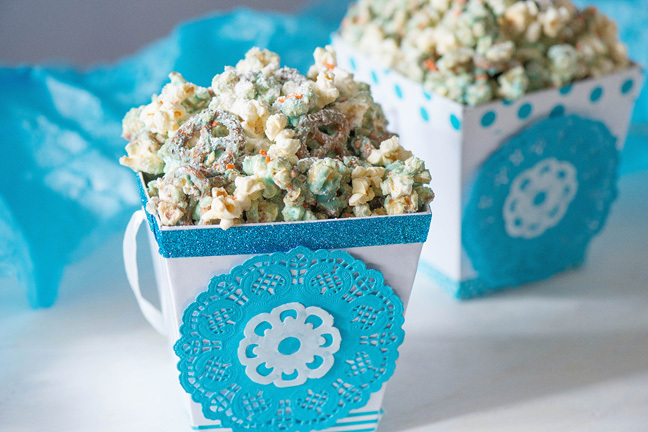 To give it a touch of winter flurries, I dusted the popcorn munch with confectioner’s sugar and topped it off with orange sprinkles, or “Olaf noses,” for a bright pop of color. Hint: Ice princess popcorn munch can be customized to your favorite Disney princess. All you have to do is select candy melts that match your favorite princess’s color scheme. You can also add your favorite dried fruit and small chocolate candies for different flavors and textures. Note: you can find candy melts at your local craft or baking store, or buy them on Amazon. Step 1: Prepare popcorn according to package directions. Remove all unpopped kernels. 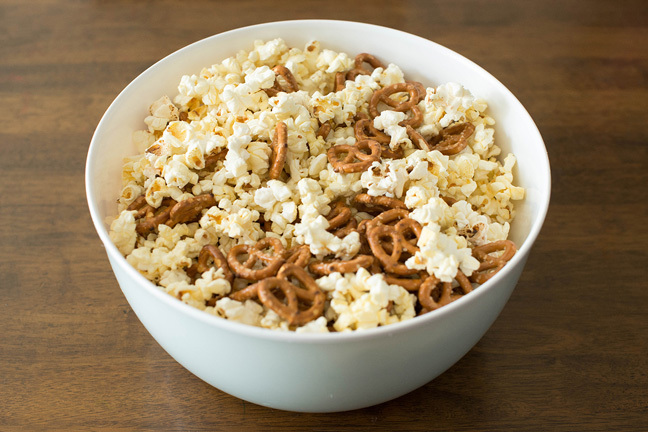 Step 2: Combine popped corn and pretzels in a large bowl. 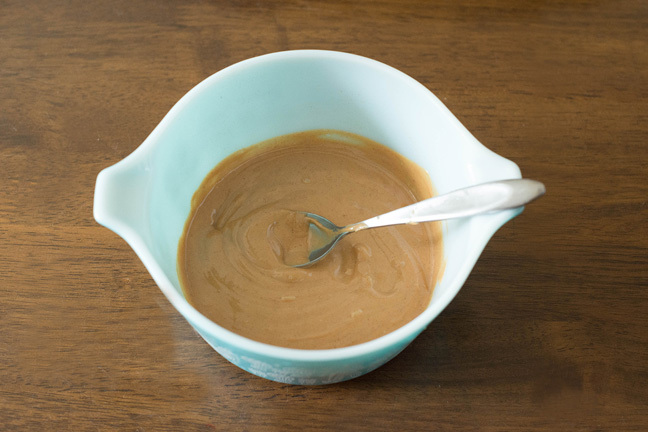 Step 3: Microwave peanut butter in a small microwave-safe small bowl on HIGH for 1 to 1½ minutes or until melted; stir to blend. 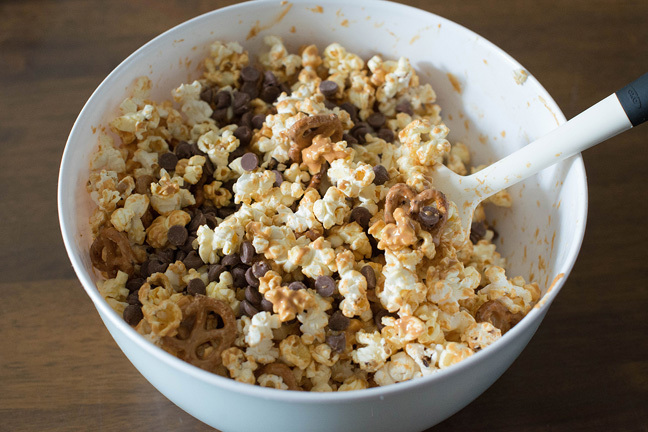 Step 4: Add chocolate chips to popcorn and pretzels and drizzle melted peanut butter evenly over popcorn mixture; toss to coat. Step 5: Microwave candy melts in a small microwave-safe small bowl on HIGH for 1 to 1½ minutes or until melted and ready to drizzle. Add a tablespoon of vegetable oil if necessary; stir to blend. Step 6: Drizzle melted candy melts evenly over popcorn mixture. 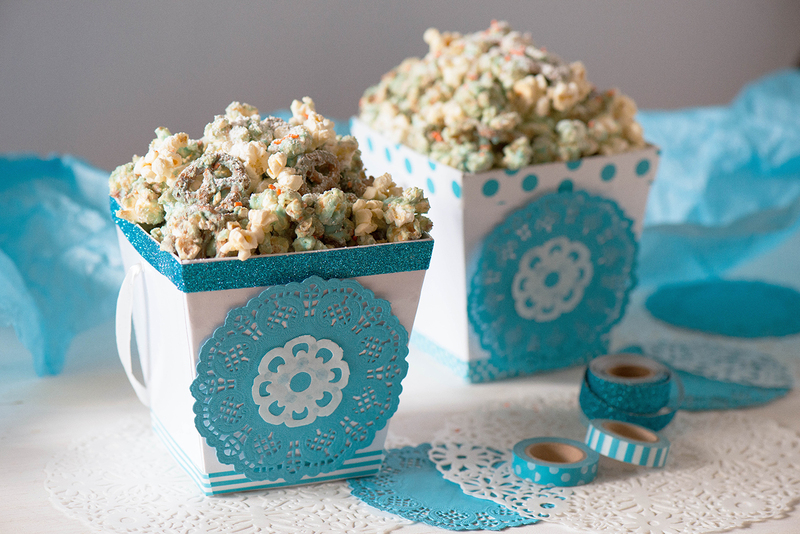 Add sprinkles and dust with confectioner's sugar. 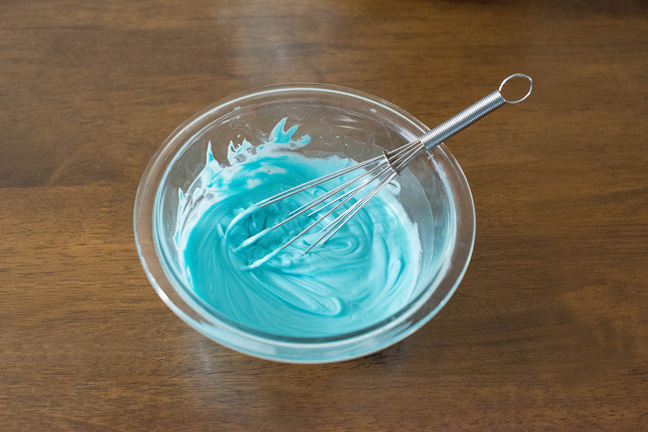 Carefully stir to coat. Step 7: Serve in white gift boxes decorated with paper doilies and washi tape or ribbon. 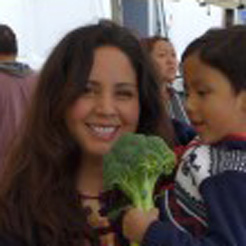 Devour while your kids sing the loudest rendition of "Let it Go" know to man.